One of those classical values is the sanctity of life, and Alan Shlemon of Stand to Reason laid out a passionate defense of the Christian worldview on the subject when he spoke to Chapel on Monday morning at Grand Canyon University Arena. 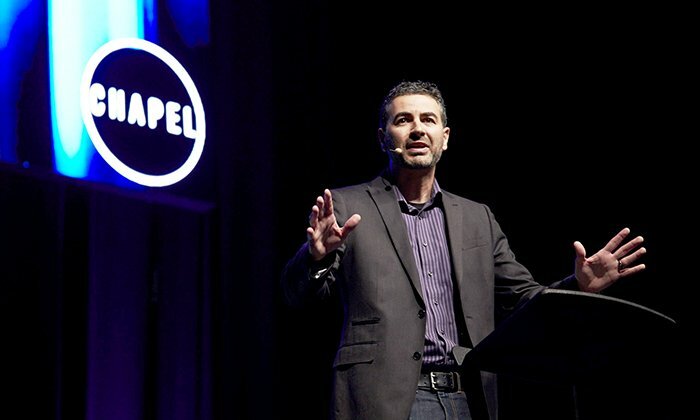 Shlemon kicked off GCU’s Bioethics Conference by warning that the world is moving away from believing that life has intrinsic value and instead is advocating the idea that it merely has instrumental value – it’s valuable only if it’s useful. To demonstrate his point, he cited three examples, including the way the “Elephant Man,” Joseph Merrick, was treated because of his disfigured body, and the refusal of a Los Angeles hospital to care for a premature baby because it was born at 19 weeks instead of 20. “These real-life examples all address the same question: What does it mean to be human?” Shlemon said. “And every single one of them is answering it in exactly the same way – it means absolutely nothing. Shlemon based his argument on Genesis 1:27 (“So God created man in His own image …”) and pointed out that virtues such as truth, love, mercy and friendship all have intrinsic value – in other words, they are valuable in and of themselves. So why would human beings be any different? The flip side is instrumental value. That evokes what Shlemon considers a very dangerous question: What is a person’s quality of life? Unlike being made in God’s image, quality of life is indeed a degreed property, and that concept is what led to the atrocities of Nazi Germany, which included killing more than 200,000 disabled people, and the euthanasia practices of Jack Kevorkian. Shlemon said that when he worked in a hospital that treated people with physical disabilities, several of them asked him whether he could put them in touch with Kevorkian. “In a culture that treats human beings with instrumental value, the strong will prevail and the weak will become discarded,” Shlemon said. He urged students going into science to uphold intrinsic values but said it’s the duty of all Christians to fight for life. 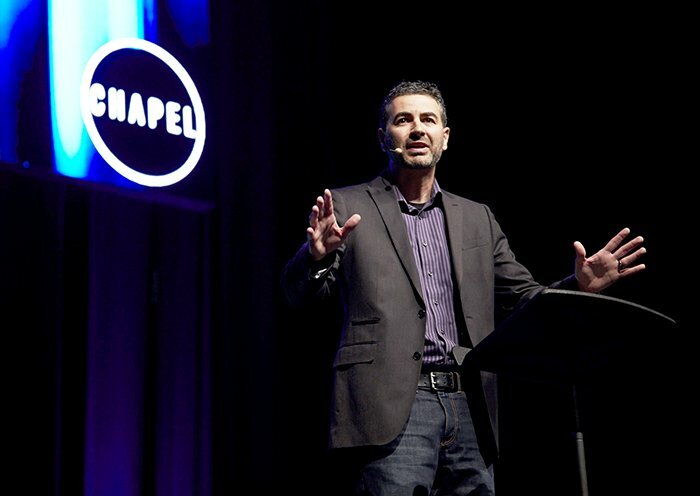 ● For the complete Chapel replay, click here. ● Next Monday’s Chapel speaker will be Greg Boyle of Homeboy Industries.